I know, I know, a collector’s toyshelf will *never* be complete. There will always be something out there that we will *need* to add to the collection. The war can never be won, but we can win little battles here and there. Completing a set, a team or lineup of characters, no matter how big or small will always be satisfying. On the flipside of that is the frustration when the opportunity to complete said team is beyond our control. And all we can do is just wait...and hope. Here are some more “missing pieces” in my collection. Of all the classic Autobot cars from 1984-1985, Skids seems to always get the short end of the stick. Although, he was featured a bit in the original Marvel series and even more in the current IDW comics, he was barely shown in the cartoon, I think he only came out in one episode, and even then it was as a background character with a single line or two. There WAS a Transformer called “Skids” in the live action movies but that doesn’t really count since he was obviously meant to be a different character. Anyway, on the Masterpiece Transformers front, between official Takara products and 3rd party companies, one can pretty much assemble a complete lineup of first and second wave Autobot cars...except for one character….Skids. He’s just one of those characters who just always comes up last. Even in the retail Generations line, Skids was the last character Hasbro produced. 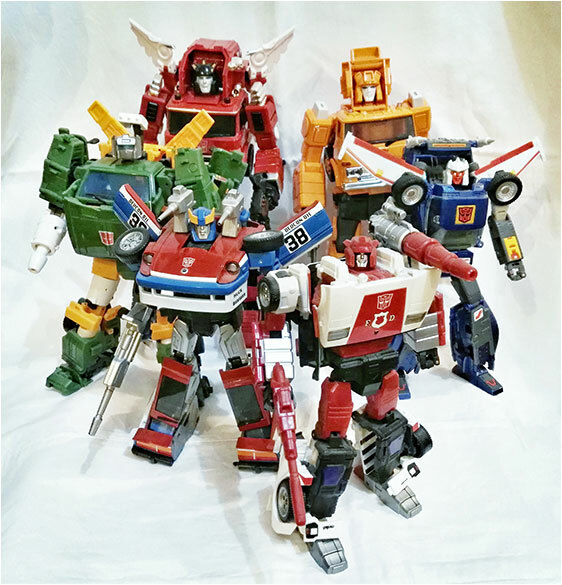 So hopefully it’ll just be a matter of time before we finally get a “masterpiece” version of Skids. Captain America Civil War was one of the most anticipated movies of 2016, luckily it pretty much lived up to most of the hype. And so naturally, for toy collectors the race to complete both teams Cap and Iron Man was on. 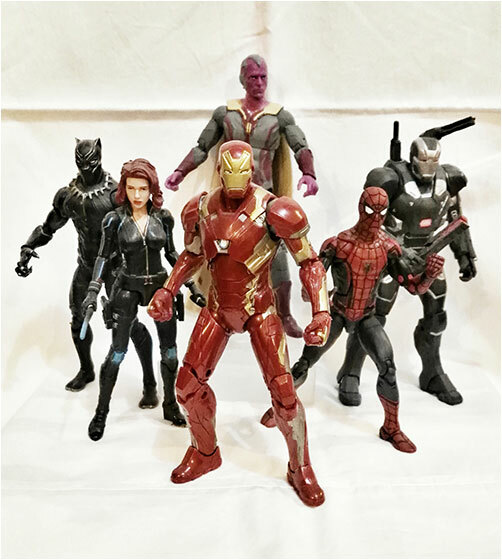 Luckily Hasbro was nice enough to indulge us by giving us a bunch of really great Marvel Legends figures to fill up the ranks of both teams nicely. Team Cap was rounded up quite nicely by adding a newly sculpted versions of Bucky, Falcon, Scarlet Witch and a even a BAF Giant Man to already existing figures of Cap and Hawkeye. 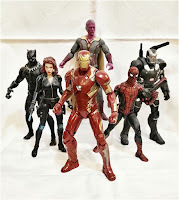 Team Iron Man already had an existing Black Widow figure that was joined by newer versions of War Machine, Black Panther, Spider Man and even Iron Man himself. Unfortunately Hasbro stopped short of a complete team by denying us a figure of the Vision! 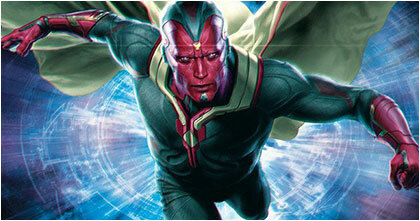 As a result, many of us had to resort to filling that hole with a Chinese version of the Vision figure. To be fair, while lacking in the paint department, it is a very great and accurate sculpt. Unfortunately, it’s a little too big for the 6” Marvel Legends shelf…..but it’ll have to do until Hasbro finally decided to throw us a bone on this one. I am hopeful that we will finally get one when Hasbro rolls out their Infinity War Legends line next year. Anyone who’s familiar with my blog and collection knows that I am a self proclaimed “seeker whore-der”. I basically scoop up whatever iterations of the seeker trio of Starscream, Thundercracker and Skywarp that I can get my hands on. Transformers Animated was a cartoon series that ran from 2007-2009. What made this series stand out were the more cartoony & stylized designs. Although at first the look was met with a lot of hate, the style eventually won fans over, especially when the seemingly impossibly designed toyline came out which pretty much successfully captured the new look in plastic form. 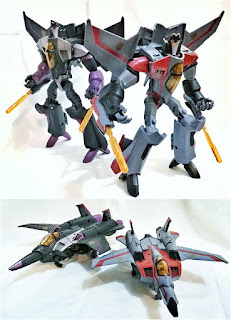 Anyway Starscream was no exception, his design was amazing, and they released a Skywarp shortly thereafter. Thundercracker was scheduled to follow but unfortunately, the cartoon & the toyline ended before it could be officially released! A few finished samples surfaced on eBay and sold for over 1000++ USD!!! This was a price that was definitely way beyond my range. So as much as I LOVE this seeker version, I will never have a complete trio. 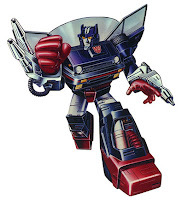 Unless I find a cheap Starscream on eBay and some paint…. Rogue One was probably one of the biggest movies of 2016. 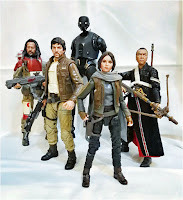 And Hasbro did a very good job of producing action figures in the 6” Black Series line for most of the band of heroic rebels credited for stealing the plans to take down the Imperial Death Star. Unfortunately they missed out on one crucial member...the Imperial pilot who set the events in the movie into motion with his defection to the rebellion, Bodhi Rook. Admittedly design wise he is nothing special, just some scrawny guy in a dark grey jumpsuit...but his absence is really felt on my Rogue One display. 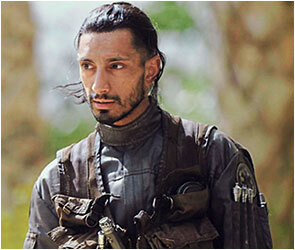 I am hopeful though that Hasbro will hear the pleas of the fandom (I can’t be the only completist clamoring for this guy) and eventually give us a proper Black series Bodhi, but as we draw further away from Rogue One and closer to Episode VIII, that hope is slowly dwindling. I’ll give them until SDCC 2017 to announce something but if by that time they still don’t include a Bodhi Rook in a future Black Series wave, I’ll take matters into my own hands and splurge on commissioning a custom of the guy. Hopefully we won’t have to come to that….